Europe, a geographical area of peace, the inventor and upholder of Human Rights, chose Strasbourg as the site for its key institutions. They are concentrated around the basin of the river ILL, on which you sail. You will have an exclusive panoramic view from our boats. Immerse yourself in the heart of Europe and discover the futuristic vision of our two thousand-year-old city. 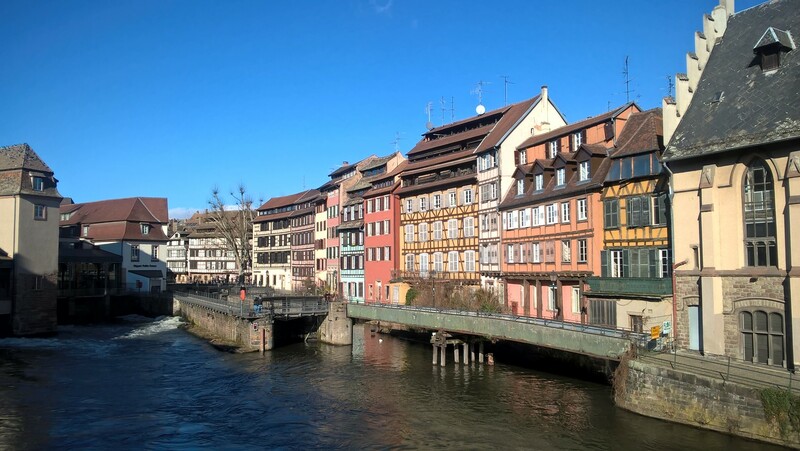 Your journey will take you first of all to the gates of Petite France, Strasbourg's mediaeval district, whose pretty name conceals a less picturesque origin. 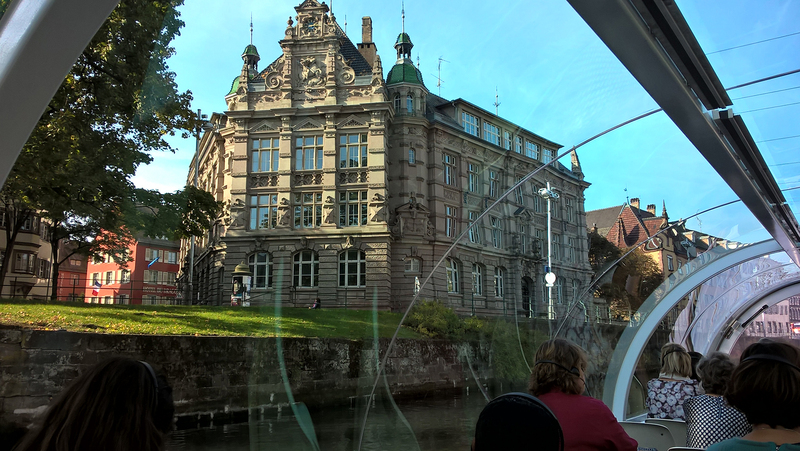 Then, travelling down the river Ill towards eastern Strasbourg, you will go through the imperial sector built during the German annexation between 1871 and 1918. Stately buildings, palaces and public buildings line the broad avenues which are reminiscent of the work of Baron Haussmann in Paris. 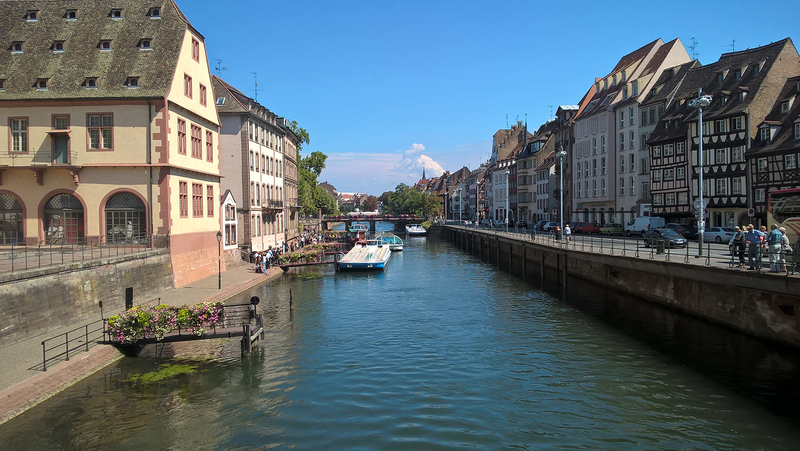 Finally, after a journey through Strasbourg’s residential areas, as if you were gliding along a long green corridor, you will round a corner and see the majestic European institutions of which we are so proud. Occasionally scheduled, this cruise departs from the pier at Palais Rohan and brings you back there after a 45-minute journey.